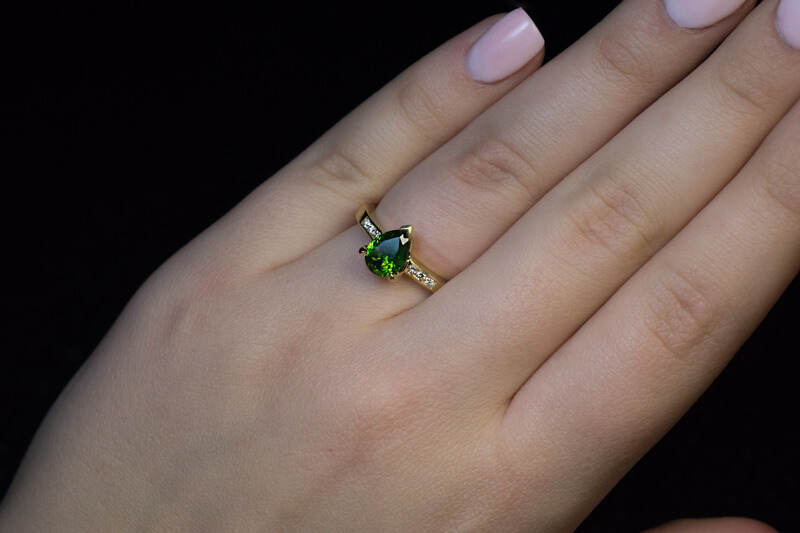 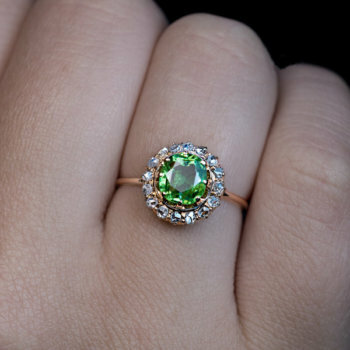 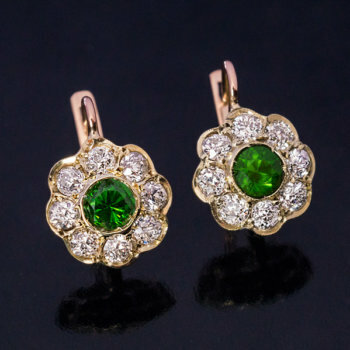 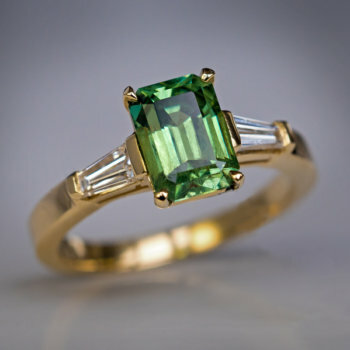 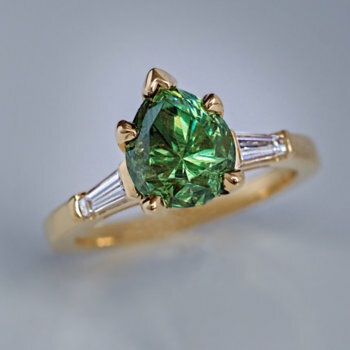 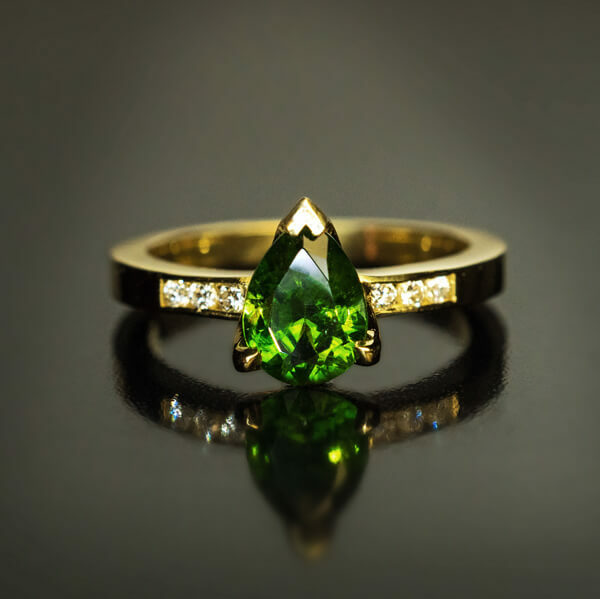 A contemporary 18K gold ring is centered with a grass green 1.40 ct pear cut Russian demantoid garnet flanked by bright white (F color) diamonds. 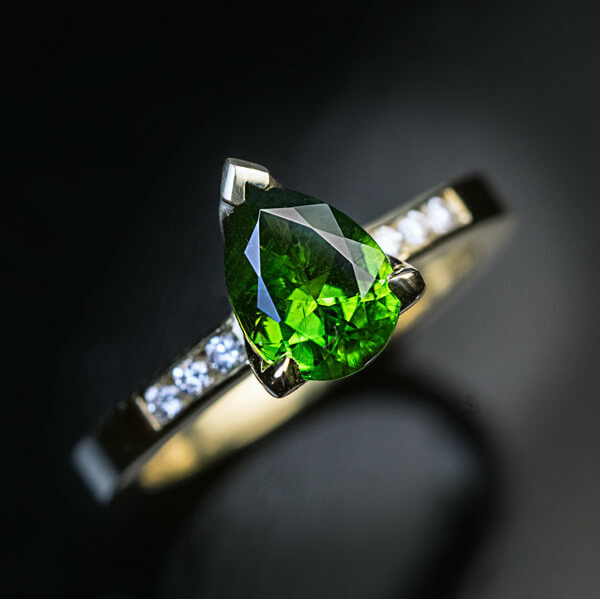 The demantoid has some fine “horsetails”, a unique feature of demantoids mined in the Ural Mountains. 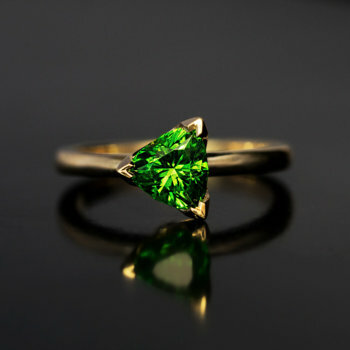 Russian demantoids over 1 carat are rare.